Of Elora, after a valiant battle with cancer at Hospice Wellington, Guelph on Saturday, December 21, 2013. 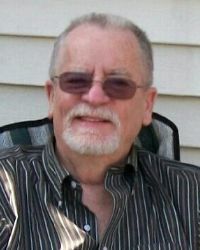 Joseph Brian Gerald McCarthy at the age of 66 years. Loving partner and friend to Pat Kerr for over 35 years. Cherished father of Annette McCarthy (Darren Doerr), and Brian McCarthy Jr. (Paula Lyle), both of Guelph; and step-father of Donna Kerr, of Guelph, Joey Kerr (predeceased). Devoted grandfather of Cameron and Darion Hendy; Mercedes Feren, and Aidan and Mitchell McCarthy; Aaron, Hailee and Brayden Kerr; and great-grandfather of Chad and Chloe Feren. Caring son of Marjorie (nee Poole) and Clarence McCarthy (predeceased). Brother of Carole McCarthy, Deborah Cerkownyk, Lynda (Kirk Dobbs), Gary McCarthy, and Barron McCarthy; and sadly missed by his forever friend Dianne McCarthy, Pat’s brothers and sisters, and his many nieces and nephews. Forever missed by his faithful companion Peanut. Brian Sr. has been part of the Guelph community since 1969 and was the founder and owner of Brian’s Custom Woodworking and Stair Rite. The family will continue his legacy. At Brian’s request, there will be no visitation or service. Family will announce a Celebration of Life in the spring. Cremation has taken place. Donations to Hospice Wellington would be appreciated and can be made through the Thomas C. Whitcroft Funeral Home & Chapel, Sauble Beach (519) 422-0041.